Warren Irvin Gertsch born in Brooklyn NY 12 Mar 1934 , passed away on 12 Oct 2015, son of John Alfred Gertsch, born 1892 in Switzerland and died 1955 Warren PA. and Goldie Eva Rogers married 29 May 1912 and had 12 children. John Alfred Gertsch son of Peter Gertsch born 1858 Switzerland, died 1944 in Warren PA. and Mary Zobrist born 1871 Switzerland, died 1964 Waynesboro VA. Peter Gertsch and Mary Zobrist were married about 1864 and had 5 children. Mary daughter of John Zobrist and Suzzanna Seiler, John and Mary had 2 children. Son John born 1867 in Switzerland and died 1954 PA, married Anna Gertsch born 1872 Switzerland and died 1963 PA. John and Anna were married 6 Mar 1892, they had 11 children. Anna daughter of John Gertsch and Marguerite Zobrist born 1833 Switzerland, died 1918. They had 8 children. 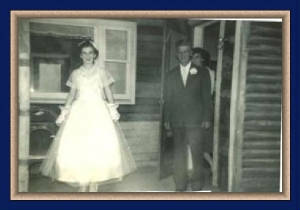 Warren Gerstch married Viola Shattuck, daughter of George Shattuck and Mary Connor on 4 June 1955 in Portville NY. They have 2 children, William R Gertch born Jan in Olean NY and Rory W Gertsch, born Oct in Jamestown NY. 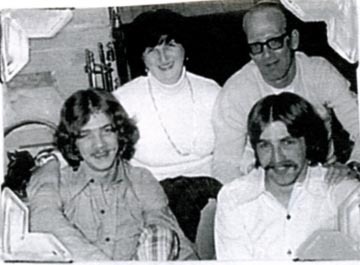 William "Bill" married Barbara Jean Lefebvre 17 Sept 1971 in Jamestown NY, she was born in Nov, they have 1 child Tonya Rena Lefebvre born in Jamestwon NY. Bill married Connie Pearson 14 Mar 1994 in Gerry NY. William and Connie have a child Nichole Dwn Gertsch born in Apr, Jamestown ny. "Nikki"
Tonya married William Dunn 31 May 1991 in Jamestown NY, they had a son Tyler Warren Robert Dunn, born Nov, Jamestown NY. Tonya also married Jeffery Haight 18 Apr 1996 in Warren PA. they have 2 children, Nicholos Jeffery and Matthew Larsen. Jeffery adopted Tyler and named changed to Haight. Rory Gertsch Married Judith Taylor 23 Feb 1982 in Kamsas. She was was born in Kansas in Nov. They have a daughter Crystal Dawn Gertsch born in sept in Kansas. Warren I. Gertsch, 81, of 103 N. Hanford Avenue, Jamestown, died Monday October 12, 2015, in his home.He was born March 12, 1934, in Brooklyn, NY, a son of the late John and Goldie Rogers Gertsch. He was a US Army veteran serving from 1953-54.Prior to his retirement he was employed as an executive vice president of Interlectric Corporation, Warren, PA. Always active in politics, he had served as a trustee and mayor of Celoron. He had also been chairman of the Chautauqua County Republican Party. 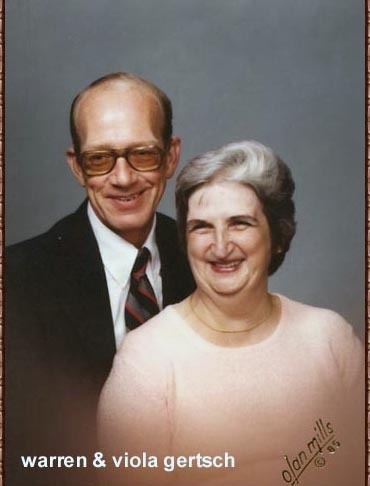 Surviving are his wife of 60 years Viola Gimlin Gertsch, whom he married June 4, 1955; two sons William (Connie) Gertsch of Ocala, FL and Rory (Judy) Gertsch of Anthony, KS; three grandchildren Tonya (Jeffrey) Haight of Warren, PA, whom he helped raise, Crystal (John) Broussard of Anthony, KS and Nichole Gertsch of Ocala, FL and six great grandchildren. Besides his parents he was preceded in death by five sisters and eight brothers. The funeral will be held at 1:30 p.m. Friday in the Church of Jesus Christ of Latter Day Saints, 851 Forest Avenue, Jamestown. Burial will be in Pine Grove Cemetery, Russell, PA.
Line-64 GERTSCH, Peter Head House age 62, born 1858 in Switzerland, Immig in 1881, both parents born in Switzerland and speak German. 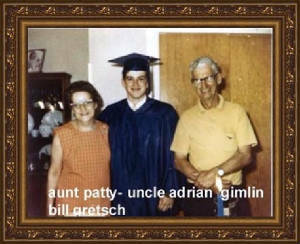 Line-1 GERTSCH, Alfred , son, age 17 born in PA 1913, both parents born in Switzerland. Occupation Laborer/ Furniture factory.